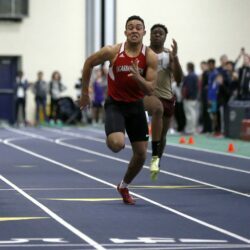 Scarborough's standout sprinter missed last spring's Class A state meet because of an injury. 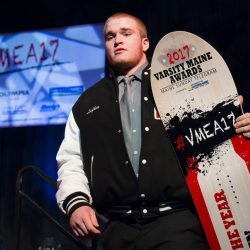 The Cheverus girls are aiming for another title, while the Thornton Academy boys look like the team to beat in Class A.
Jason Montano, a two-time New England shot put champion, accepts a scholarship offer from DePaul University. 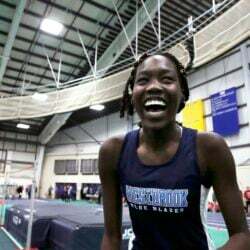 Nyagoa Bayak receives the award after her high jump victory at the New England championships, and Mattanawcook's Cayden Spencer-Thompson wins the boys' award. 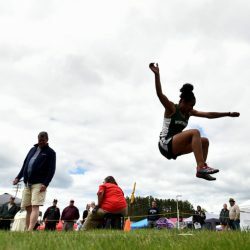 Cayden Spencer-Thompson wins the long jump and the triple jump as Maine athletes win six events. 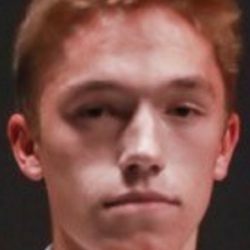 Cheverus sprinter Victoria Bossong and Wells distance runner Mitchell Libby earn this week's honors. Outstanding performances are the rule in two entertaining meets. The Falmouth boys team catches up late to tie the Trojans, while the Cheverus girls win five individual events to capture a second straight championship. 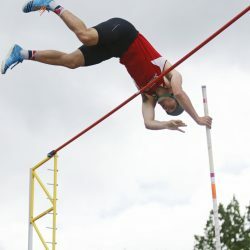 Maranacook uses a 1-2 finish in the pole vault to pull away, while Caribou secures the title with a third-place finish in the final event of the meet. 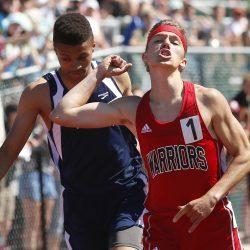 Two other state track and field meets will be held around the state Saturday. The Golden Trojans win their fifth straight girls' championship and dethrone the Scarborough boys. 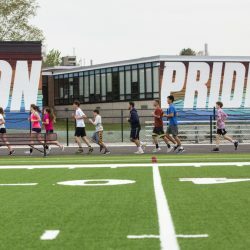 The Falcons finally open their new track, which is part of a $4.5 million project to upgrade the school's athletic facilities. Many underclassmen are among the defending state champions for both girls and boys. The Cheverus girls and Scarborough boys head the list of the top teams in southern Maine. 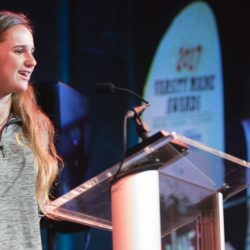 The best athletes are recognized in baseball, softball, lacrosse, tennis and track and field. The fast freshman thinks keeping calm may be her strength. 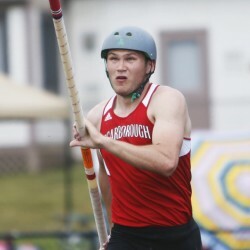 Despite an injury, he claimed 2 state records and lifted Scarborough to its second title. Steven Smith places first in the 3,000-meter race at the New Balance Outdoor Nationals. 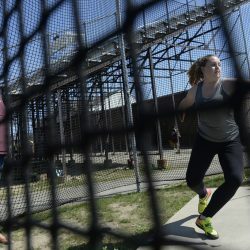 The state will be represented by a number of top seeds in the throws, jumps and the vault. The Red Riots earn their sixth straight girls' state championship and third consecutive boys' title. Cheverus wins its first state championship, while Scarborough successfully defends its title. 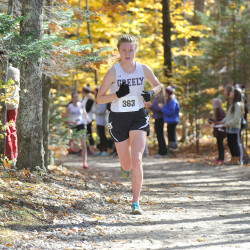 Greely completes the trifecta with titles in cross country, indoor and outdoor track, while Winslow wins its first boys' title since 1966. 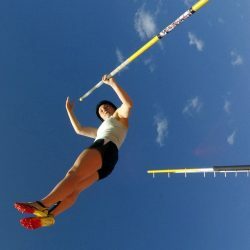 In the past several years, the number of athletes soaring over 10 feet has grown. 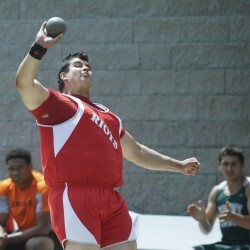 Numerous conference records fall, including a 38-year-old mark in the boys' shot put. Katherine Leggat-Barr takes a break from lacrosse and sets a meet record while helping the Rangers win a team title. He broke a 50-year-old record in the shot put, but Austin Lufkin was also a powerful defensive end who earned a football scholarship. After just one track season, Emma Gallant already leads the state with the fastest times and two state titles. Underclassmen dominate our girls' list, while seniors get top billing among the boys. 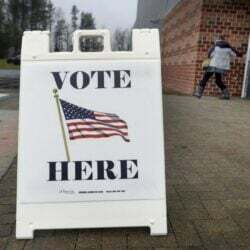 The Cheverus girls and Scarborough boys top our lists of teams in southern Maine. 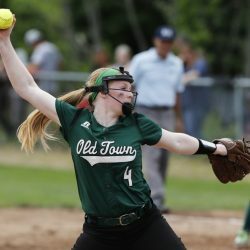 Adelaide Cooke showed versatility and perseverance while leading her team to its first Class A girls' state championship. 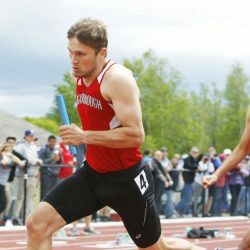 Sam Rusak became the first male in 37 years to win four individual events at the Class A state meet, and he's still improving. 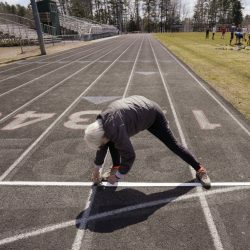 Adelaide Cooke, who won two events at the Class A state championships, is chosen as Maine's best girls' track and field performer. The Red Riots win a fifth straight girls' crown and a second straight boys' state title. 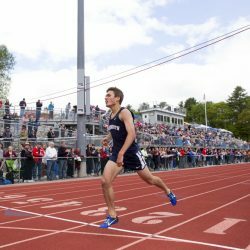 Seniors dominate the top track and field athletes in southern Maine. Thornton Academy, the defending Class A champion, will be the team to beat again. 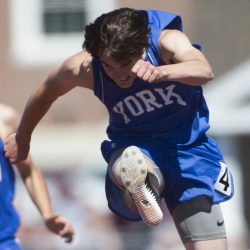 York, the Class B indoor champion, has the depth to win again this spring.